Emilia Romagna is a region located in north-central Italy, rich in natural resources and activities. As a matter of fact it is considered as one of the most wealthy regions of Italy, in fact Bologna and Modena are the third and the fourth richest cities of the peninsula, after Milan and Biella. Moreover, everyone knows that this region attracts every year thousands of tourists, someone says that 10 millions people come to visit its territory every year, especially from Germany and Holland. 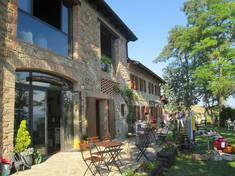 Properties in Emilia Romagna for sale are an hidden treasure as there’s a big property offer still to be discovered. Especially for whoever is looking for a nice home to be restored, it has a big availability of houses to be renovated set in wonderful scenarios and in a stunning country side at a very convenient price, especially in the Appennines, in the province of Parma. 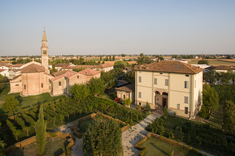 Emilia Romagna property for sale becomes a better investment year after year. 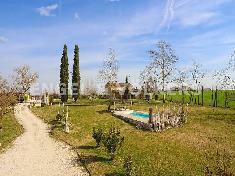 All along the coast and in the territory near Ferrara there are good levels of offers. The typical real estate requested is a one/two bedroom flat, better if with air conditioning, with terrace, garage and garden. The prices are increasing steadily, and the quotation has reached extraordinary levels in some cases.